There are few, if any, remaining major, new mineral deposits that are exposed at the Earth’s surface remaining to be found in Australia. The technical challenge of cost-effectively finding major, new mineral deposits hidden beneath barren cover rocks has not yet been met. Consequently, mineral exploration is moving from Australia to less well explored countries with Australia’s share of global mineral exploration reducing from ~1/4 in the 1990s to ~1/8th currently. In order to reverse this trend, we require a new set of exploration tools and new ways to deploy those tools which recognise the fundamental importance of collecting quantity and quality data from the subsurface. Collecting these data requires drilling. Developing more productive, safer and environmentally-friendly drilling methods to discover and drill-out deposits, including coiled tubing drilling technology. 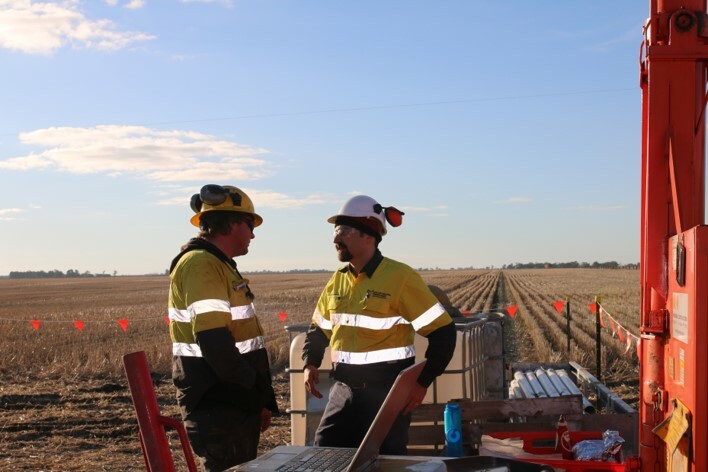 Implementation of a National Drilling Initiative (NDI) - a world-first collaboration of Geological Surveys, researchers and industry that will undertake drilling in under-explored areas of potential mineral wealth in Australia. MinEx CRC wishes to acknowledge the work of Deep Exploration Technologies CRC and its contribution to the MinEx CRC agenda. The Deep Exploration Technologies CRC was established in 2010 under the Australian Government’s CRC program and concluded in September 2018.